PRODUCT DESCRIPTIONS: By shopping on this website you agree to terms that you understand some units may have slight variations with color and options. Some products may have slight upgrades or changes that we are unaware of. This is due to the high volume and low cost we secure these sales at for you from the manufacturers. On all models some assembly is required, there are additional fees if you want or need to have your vehicle fully assembled, in most cases the vehicles we sell are 98-99% assembled, in other cases for larger vehicles assembly may take up to four hours and for an assembly fee of 350.00 we assemble large go karts/ utv's and ship them by way of car carrier. If you chose to cancel your order before it ships assembly fees are non-refundable, in addition to the non-refundable assembly fees, restock fees for assembled vehicles is 35% and shall be deducted from the initial purchase price of your vehicle. It must be understood that this is a price driven site and color options/schemes may change slightly. We must collect (2) separate color choices from you at the time of sale. If we do not contact you, it can be assured you will receive one of the two colors you select. By shopping online you assume the responsibility for this. If your model arrives with a different color or accessory, we will attempt to resolve this for you however the final word will be from the MFG directly. This agreement is also during the order process and check out. 1) We ship all product from a warehouse setting. At times (for best service) we may ship from our warehouse or directly from the manufacturer's warehouse in one of our several locations in the US. On average shipping takes an estimated arrival time of 5-15 business days, this does not include weekends but can take up to 21 business days in the peak summer months. Countyimports.com will forward your tracking number to you once your order is placed on a Shipping Truck for delivery. Please note that the shipping container is cardboard, and steel framing, and probably will have tears or dents. That is what it is placed there for. The insides as you will see is very tightly packed and well stored and safe. Accept the order within reason and as a precaution, please note any visible damages either on the box or the product on the BOL (Freight Bill) when you sign for your package. Once you have it assembled if you notice anything missing or damaged, file an online claim at warranty_claims_form and we will work on getting your parts out to you that you need. Parts normally take 5-21 business days to receive and can take longer if we have to order a part from the factory. If the safety integrity of the machine has been compromised by shipping damage we ask you to make sure the delivery driver makes notes on the Bill of Lading delivery slip and gives you a copy. 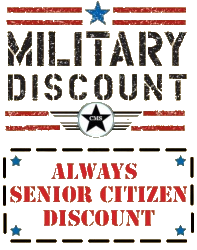 Please decline the shipment and fax us a copy (619) 312-6181 and we will send a replacement. If you purchased insurance we will not require you to wait for the arrival of the damaged machine for inspection. If you did not purchase shipping insurance you will be asked to wait 1-2 weeks for a visual inspection of the damaged item before shipping your replacement. Nearly all shipments arrive completely undamaged. 2) Due to the high volume of orders and expedited processing Countyimports.com provides. Payment and shipping will be processed as fast as possible to deliver your vehicle in a decent amount of time. Although most of our processing and shipment take within 5 business days, there are times orders can take up to three weeks to arrive. We can only work as fast as our warehouses. If at any time the item you originally purchased is not in stock we will offer an optional item at equal or greater value as our commitment to great customer service we provide. If the customer declines the changes and the payment has been processed the customer will be responsible for the restocking fees which are 5% of the order if the order is in progress. If the order is in the ready to ship category there will be a 20% restocking fee. If the order has been completed and the customer decides to cancel there will be a 25% restocking fee. In no event will countyimports.com or Norco Powersports be liable for shipping damages, missing or lost by shipping or trucking company, lost revenue, lost wages, lost savings, or any other incidental or consequential damages arising from this purchase, use or inability to use the product. Countyimports.com or Norco Powersports are not responsible for any damages arising from misuse, natural or personal disasters, or any repair or modifications not done by Countyimports.com. If the order has shipped and the order is declined or canceled by the buyer for any reason there will be a 35% restocking fee, the buyer will be responsible for all cost to ship the order back. This fee is non-refundable as in order to continue to bring our customers overall lowest prices anywhere this requirement is effective for all customers. We at countyimports/norcopowersports.com are responsible for keeping the terms of this sales agreement with our customers, therefore we ask our customers to do all research before buying as once the order is placed our customers to have a responsibility to ensure payment is honored. 3) We do have technicians on staff to assist you with any issues that you may have with your product. Please remember that you are purchasing your item wholesale, and because we are not physically on location with you, you will need to be our eyes and hands to walk you through any warranty or technical issues and have patience. 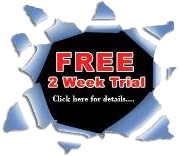 If there are any technical issues that cannot be resolved over the phone or through email then the customer will need to take the unit to a certified mechanic for diagnosis. We suggest https://www.superpages.com/ and search ATV Dealer, Scooter Dealer or Small Engine Repair Shop to best locate them. Please remember, due to the low cost of our product the parts are included in your warranty however the labor naturally is not. If there is a significant issue we will work with you to correct your needs. 4) Please understand that laws in every state are different, make sure you research and understand the laws in your state regarding your purchase. Countyimports.com Supplies a safety page that we strongly urge you to read before making your purchase. Check with your local DMV and state laws to find out what they required for using your purchase on public and or private lands, some of the go karts can be green or red stickered, or both for California residents and are marked as such on our website. Registration is the responsibility of the purchaser. The process will be simplified by contacting your local DMV with your VIN and TITLE/MSO. We can assist you with any questions. You are responsible for the freight charge associated with this return, please do not send the product back to us "Freight collect", we will refuse the shipment and it will be returned to you by the carrier. All returns are subject to a 25-30% restocking fee. Refund does not include the original shipping charge, if any. We are a very down to earth company and understand customers needs inside of our business requirements. if you are claiming your vehicle is defective it must be inspected by a certified technician stating the defects on his letterhead. Manufactures defects/missing parts will only be covered the first 30 days" Then by default, the warranty will take over. There are absolutely no refunds for any fueled items or used items regardless of damage or performance, all sales are FINAL! Any unauthorized packages returned without a valid RMA number written on the exterior packaging will be refused and sent back to the customer. Freight collect and COD packages will not be accepted. COUNTYIMPORTS.COM HAS PRICED ITS PRODUCTS UPON THE UNDERSTANDING,THAT YOU HEREBY ACKNOWLEDGE THE UNDERSTANDING AND AGREE, THAT COUNTYIMPORTS.COM | CRUISERSCOM WILL NOT BE RESPONSIBLE OR LIABLE FOR ANY FORM OF CONSEQUENTIAL, INCIDENTAL, STATUTORY, PUNITIVE, EXEMPLARY OR INDIRECT DAMAGES OF WHATEVER KIND OR TYPE ARISING FROM ANY TYPE OF COMMERCIAL, BUSINESS, ENVIRONMENTAL, TORT, WARRANTY, CONTRACT, STRICT LIABILITY OR OTHER CAUSES ARISING DIRECTLY OR INDIRECTLY FROM OR IN CONNECTION WITH ANY PRODUCT AND/OR ITS USE. INDEMNIFICATION: YOU AGREE TO DEFEND, INDEMNIFY AND HOLD COMPLETELY HARMLESS COUNTYIMPORTS.COM, NORCOPOWERSPORTS.COM FROM AND AGAINST ANY AND ALL CLAIMS, DAMAGES, COSTS, AND EXPENSES, INCLUDING ATTORNEYS' FEES, ARISING FROM OR RELATED TO YOUR USE OF THE PRODUCTS PURCHASED VIA THE SITE. NO IMPLIED WARRANTIES OR AGREEMENTS: THERE ARE NO AGREEMENTS OR WARRANTIES, EXPRESSED OR IMPLIED INCLUDING WARRANTIES OF MERCHANTABILITY OR FITNESS FOR A PARTICULAR PURPOSE, OTHER THAN THOSE STATED IN THIS AGREEMENT. 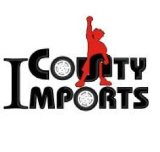 COUNTYIMPORTS.COM SHALL NOT BE RESPONSIBLE FOR THE PAYMENT OF DAMAGES or TIME VESTED, OTHER THAN THE SUMS SPECIFIED IN THIS AGREEMENT AND LIMITED WARRANTY, FOR INCIDENTAL OR CONSEQUENTIAL LOSS OR DAMAGE ARISING FROM INJURY, LOSS OF USE, LOSS OF TIME, RENTAL VEHICLES, PROFITS, OR INCOME TO THE CUSTOMER AS A RESULT OF A FAILURE OF ANY COMPONENT OR PART.